Police are appealing for information after a woman was sexually assaulted in the early hours of Sunday. 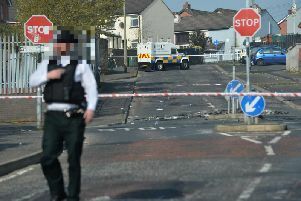 The incident happened in the Great James Street area of Londonderry. "The suspect is described as having a shaved head and was wearing a grey hoody with dark tracksuit bottoms. "It’s believed he was driving a dark-coloured, people carrier-style vehicle." Det Nichol said police know that "there were a number of people and vehicles close by at the time of the assault" and appealed for witnesses or anyone who noticed a people carrier type vehicle in the Great James Street/Little James Street area to please get in touch.